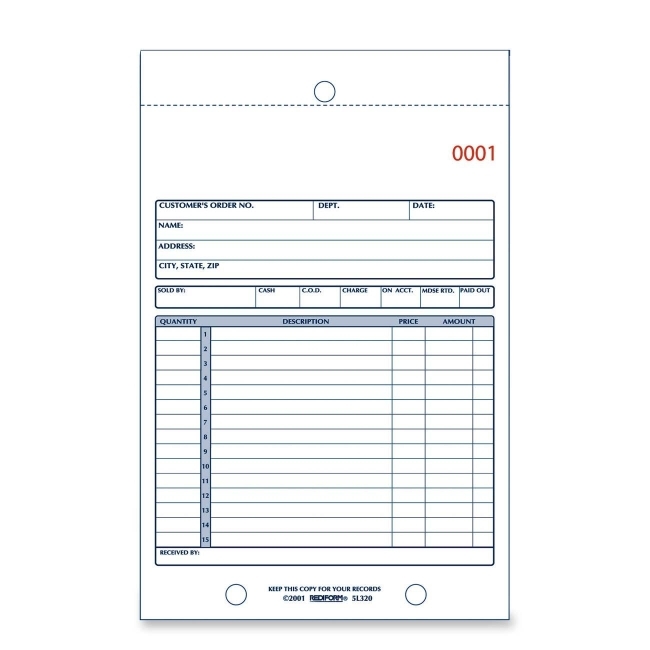 Rediform Sales Book Form - 2 Part - 7.87" x 5.5"
Carbonless sales book forms offer a simple format to record information with space for customers information (name and address), date, seller, method of payment and items with their quantity, description and cost. Two other boxes offer a place for the customers order number and recipient of the merchandise. Carbon coating on back of each original transfers writing to copies. 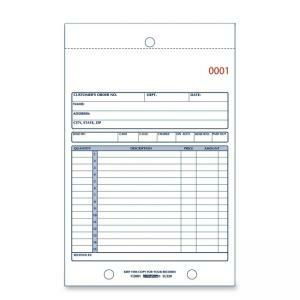 Forms are consecutively numbered and come in a manifold book with a flexible cover.